The time has come! 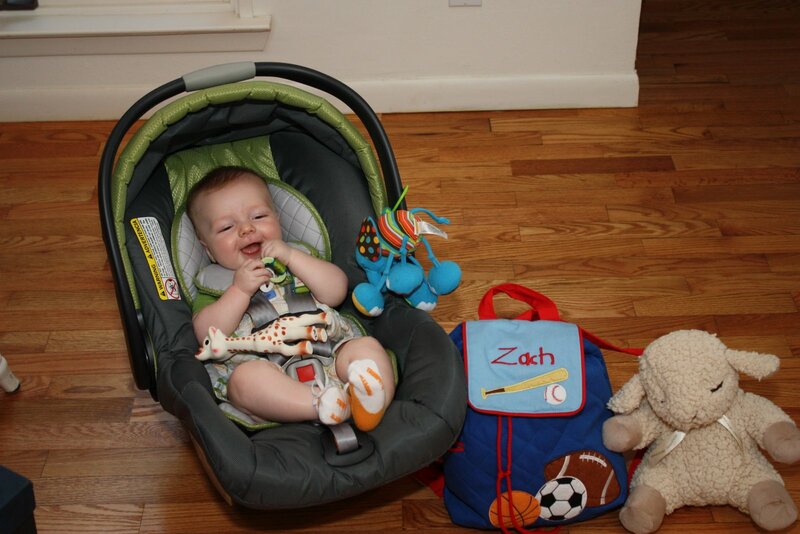 5 months has flown by (well, not all of it) and I am back to work and Zach is off to daycare. He started last week and did very, very well. His teacher Mrs. Carson is great and every morning he smiles at her and reaches for her. I love it that on Monday mornings she asks the babies if they did too much parting over the weekend. That always gets a smile out of him. I am enjoying being back at work – yes I know that sounds silly. I don’t mean that I am just dying to get back to some of the tedious tasks I do, but I really enjoy being back in the “working world”, at least for a bit. On the flip side, I love that I get to pick him up at 3:00 and we hang out for the rest of the afternoon together.